With the consecutive k*llings of the priests from the Catholic churches followed by the statement cooed by Pres. Duterte about the dichotomy of what he believes as his god compared to the god of those who firmly throw him accusations, people from religious aspect were roused to counter his statement and defend their faith against what was in the latter. However, this paved way instead for another issue to sprout regarding the authenticity of the practice of religiosity of these people, particularly in Philippines. The veracity of these Catholic priests was then put into a big question mark and the homilies they deliver to its people every Sunday, most especially in subjects about helping the poor. 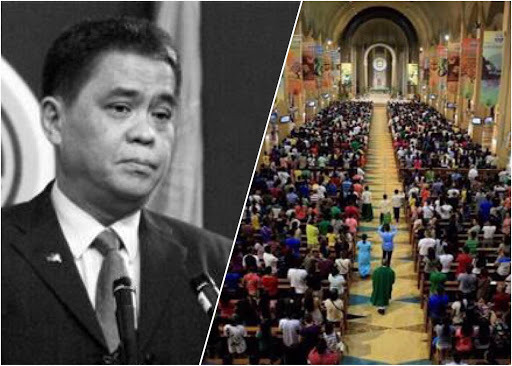 In an article by Rigoberto D. Tiglao published yesterday in Manila Times, he considered such preaches (lending hands to the need) as “one of the most shameful and most hypocritical things about Catholic churches in the Philippines”. 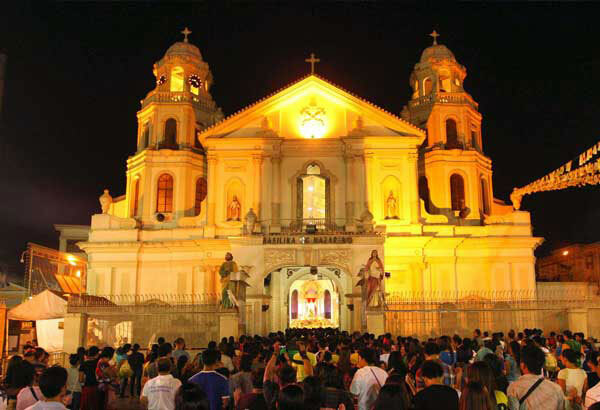 The Catholic churches in the Philippines were able to establish infrastructures and even exclusive universities where tuition fees are like punching to the moon for the marginalized aiming for a quality education and name. In other areas, some of their churches are usually built with huge religious foundations where priests usually live. If you pay a visit to these places, expensive and luxurious objects are also apparent, especially the ones in the cities (though there are some in urban areas which have the same). For an average Filipino man, building a house like this by himself would really cost him a leg and an arm. However, since the construction of the churches and these religious infrastructures were made possible through stipend, offerings, or the collection it makes from people on Sundays, it doesn’t weigh much on every individual, much more for the elite. The thing is, there’s nothing really wrong with the offerings or such. It was one of the things being taught to us: to share. We share what we have. The church collects it. Then what? Imagine if you have saved that money you’re supposed to give in that collection. Then after a year, if you have saved so much enough, you decided to share it to less fortunate ones. Upon giving, you also realized then that you had helped more than the number of what you expected to help. Let me reiterate Tiglao’s computation: in a low 5% annual income on the churches’ 100 billion assets, it will generate 5 billion every year. Divide that by 365 days in a year, and it will mean 14 million every day. That’s the total amount that you can use to help people if ever you got the same percentage in your annual income. If the calculation’s right and the church decides to use that amount in helping the poor by at least giving them modest food, it’d approximately help more or less 1 million poor people every single day. But the problem is that, instead of spending the money to feed the poor, it is wasted instead for another lavish materials. Can a million of starving and homeless Filipinos devour concrete materials, painted walls, carved ceilings, or tiled floors? Not unless this number of people are given the chance to stay within these walls as a refuge. But that’s a rare sight. We see these people instead outside their buildings, waiting for some generous hands to bequeath theirs even a single peso which is a meager value compared to what goes on inside. They have been preaching about being good and helping the underprivileged. Yet, they only settle in their words and fail to do it in action. 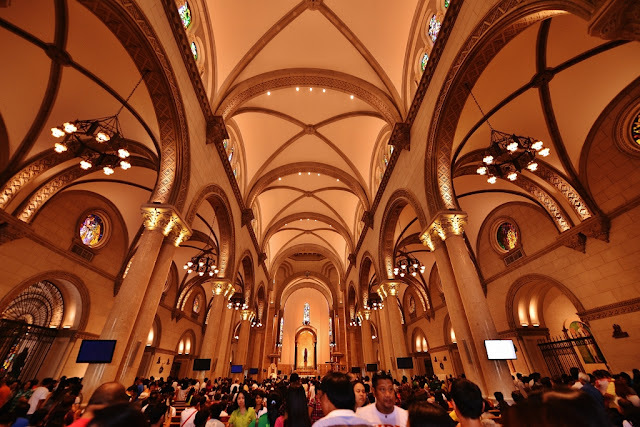 The church has greater chance to feed hungry mouths of our fellow Filipinos, but they just opt to hide in their havens and watch silently the people suffer in the small aperture of their massive walls. Jesus Christ was able to feed 5,000 mouths. If the Catholic churches claim their selves as Disciples of Christ, then they can also do the same. It’s just a matter of their willingness to extend a hand and turn their words into reality. Unless the Catholic churches prove the authenticity of their addresses, their label as the “Church of the Poor” will always be treated as a falsehood and a reflection of their hypocrisy.